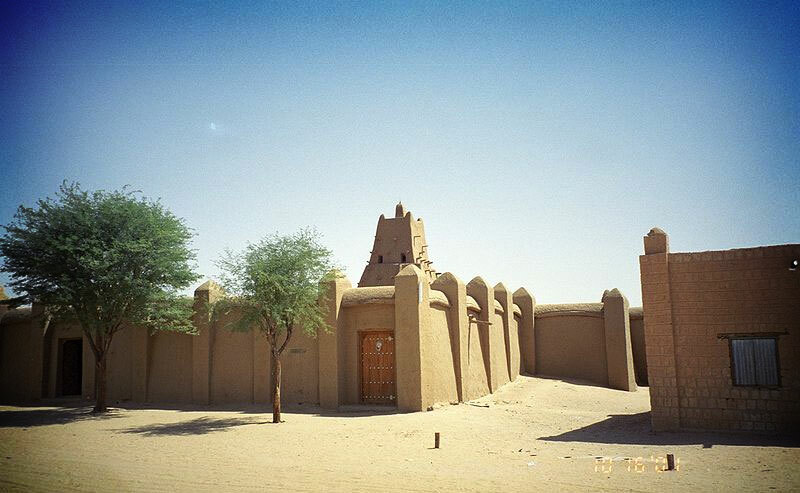 A mosque in Timbuktu, photo by KaTeznik. 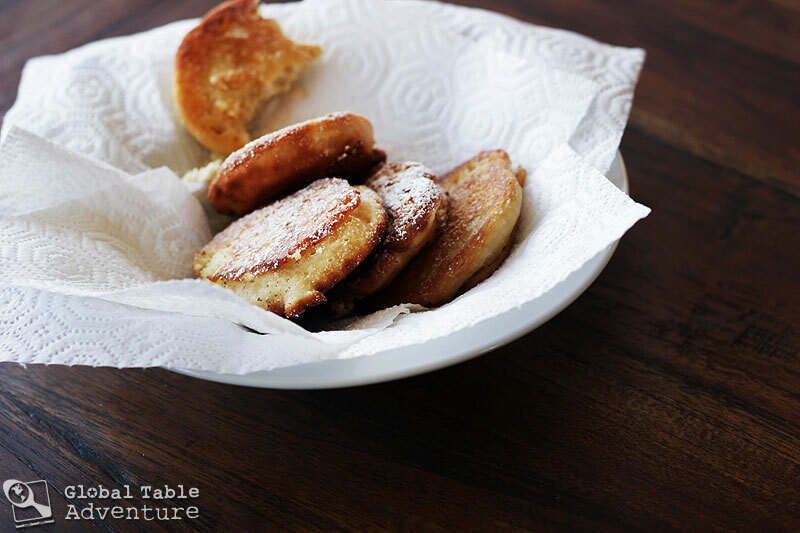 Sometimes waking up to pancakes just isn’t enough. Sometimes I want to travel to Africa all in a single morning – all the way to Timbuktu – and be home in time to take my daughter to the park. And then I want a doughnut. Enter our hero – today’s recipe for the eager stovetop traveler – Maasa. Every once in a while I happen upon a recipe that is naturally gluten-free. First, there were the quesadillas from El Salvador (super yum and award-winning, by the way). 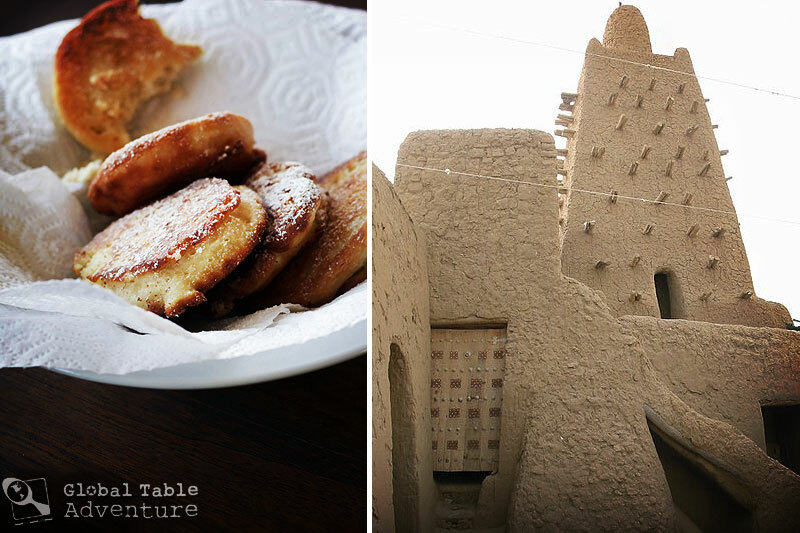 This week we’re going gluten-free with Maasa – a sweet treat from Mali made with rice flour and millet flour, the two most common grains in the region. Maasa is served fresh from roadside stands, hot from shimmering oil and blanketed in a cozy layer of powdered sugar. One bite in, and you’ll see why I couldn’t settle on a name; this is a yeasty, pancakey, biscuity, doughnuty treat – crispy on on the outside and doughy on the inside. So what do you say? 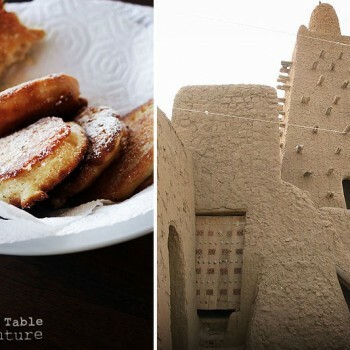 Shall we visit Timbuktu while we cook? We can get there with a wish (and a little elbow grease in the kitchen). First, add boiling water to 1/2 cup milk. Then add in the sugar and yeast. Set aside for a few minutes until frothy. Now, combine the yeasty milk mixture with the flour mixture. Add the remaining 1 1/2 cups milk, a little at a time, stopping when you reach a thick batter. Now, let the batter sit in a cozy, warm spot… covered … for about 30-45 minutes. Meanwhile, take a walk through the streets of Timbuktu. Street in Timbuktu. Photo by upyernoz from haverford, USA. If you get tired, have a seat and play some checkers. 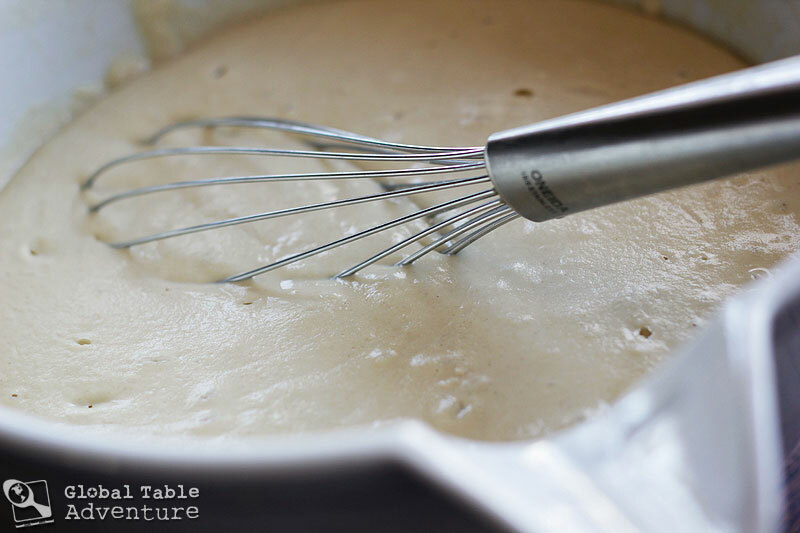 When you get home, the batter will be fluffy and bubbly and grand. Perfect! It’s time…let’s make some “pancake doughnuts”! 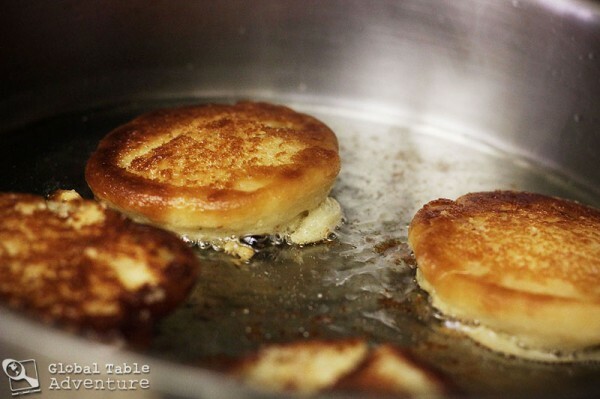 Pan fry the Maasa by the spoonful in a thin layer (about 1/8″) of hot oil until golden brown. This is almost too much oil, as the batter is very absorbent. Turn once. Try not to dive into the deliciousness… not yet! Drain the crispy-on-the-outside-soft-on-the-inside Maasa on paper towels and dust with a heavy coating of powdered sugar. Eat immediately with a few dear friends… … people with whom you wouldn’t mind going to Timbuktu and back. P.S. Safe travels, my globetrotting dreamers. This week we’re going gluten-free with Maasa – a sweet treat from Mali made with rice flour and millet flour, the two most common grains in the region. Maasa is served fresh from roadside stands, hot from shimmering oil and blanketed in a cozy layer of powdered sugar. One bite in, and you’ll see why I couldn’t settle on a name; this is a yeasty, pancakey, biscuity, doughnuty treat – crispy on on the outside and doughy on the inside. First, add boiling water to 1/2 cup cold milk. The resulting mixture should be warm but not hot. Add in the sugar and yeast. Set aside for a few minutes until frothy. Next, whisk together millet flour, brown rice flour, and baking powder. Combine the yeasty milk mixture with the flour mixture. Add the remaining 1 1/2 cups milk, a little at a time, stopping when you reach a thick batter. Now, let the batter sit in a cozy, warm spot… covered … for about 30-45 minutes. When the batter is fluffy and bubbly and grand, pan fry the maasa by the spoonful in 1/8" hot vegetable oil, until golden brown. Turn once. 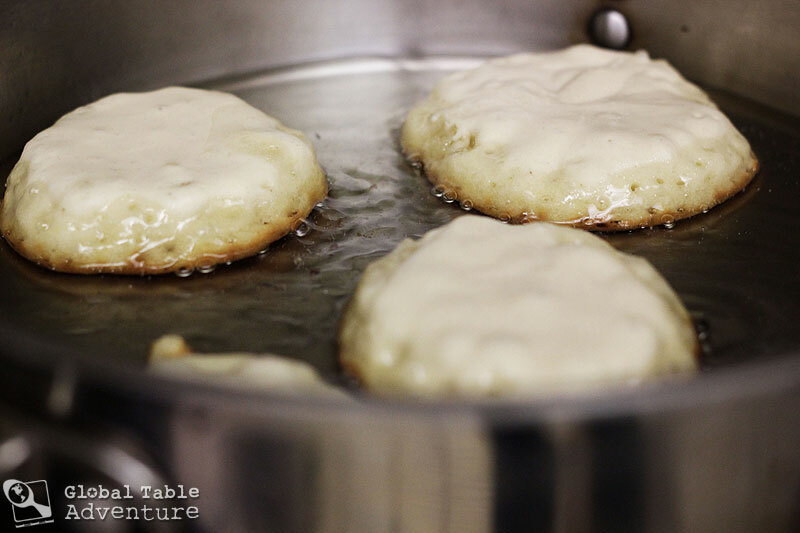 My Dad should have sent us to TimbuKtu…I love these pancakes!! You can fly there now – it wouldn’t take nearly as long (or be nearly as mysterious). Did you hear the 500 year old recipe for toothpaste? OMG…that video was wonderful…now I want to go even more…. I met a 100 year old man in Timbuctu. Well maybe closer to 80 but still… He spoke French and I was thrilled because of the fascinating tales he would tell me. So I asked him if things had changed since he was a boy. Oh yes, he said. His eyes lit up. “The prices! You could buy a whole meal for less than the price of a tomato today.” And that was all the stories I got. I remember when soda was 35cents in the vending machine… sigh. 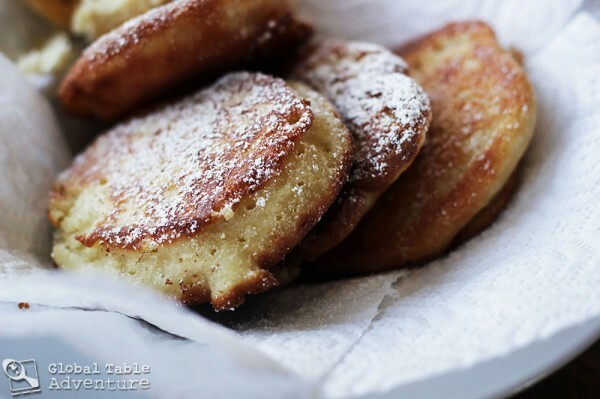 Looks a little like funnel cakes, which is a very good thing! Can you imagine living in a country where one of their staples is something like funnel cakes?! That would be the country Pinocchio ends up in, where he turns into a donkey! 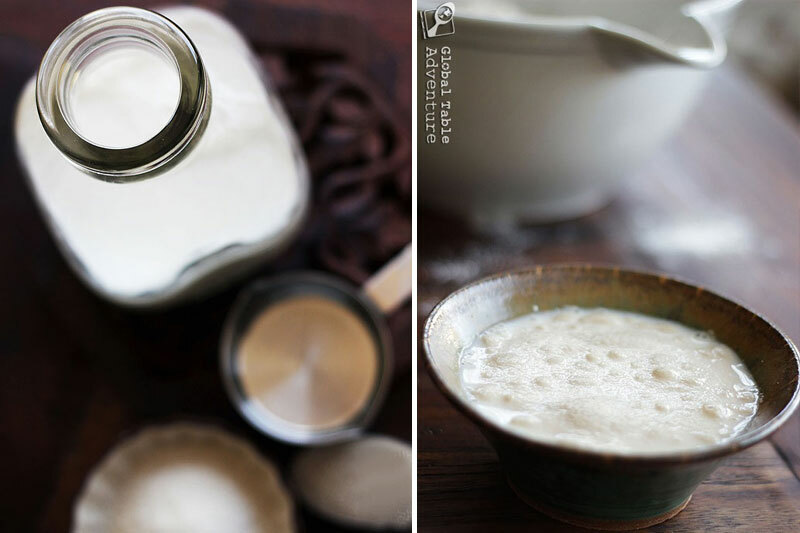 You just gave me a great idea to use up my rice flour. 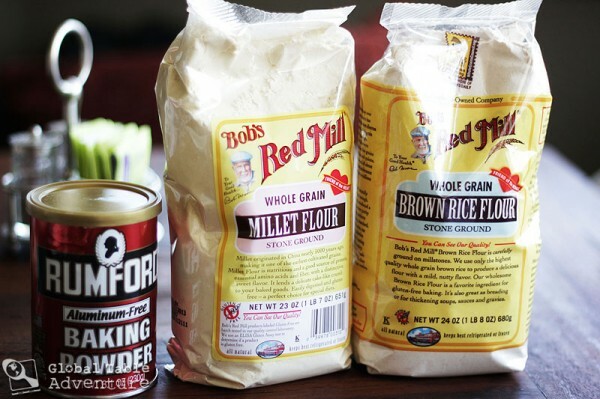 I bought some a few weeks ago and baked a cake (the only one I could find with large amounts of rice flour in it) with it and asked my readers to suggest ways to bake/cook with rice flour (other than using it to make noodels or as a thickening agent). Now I have your suggestion, thanks. These look and sound delicious! Yay! Also try the “Quesadillas” – they use rice flour and are very good. 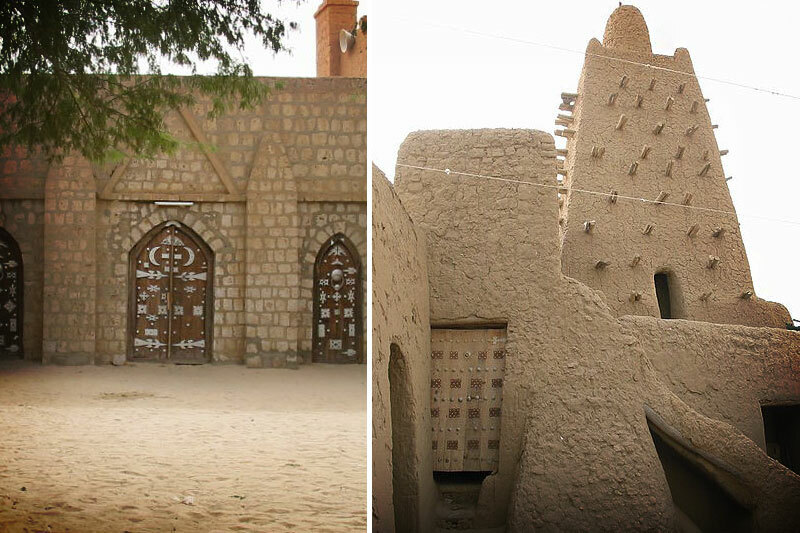 am surprised by existence of Timbuktu! Awesome post Sasha! By the way, where do you buy your cooking ingredients in Mali? How are the prices there in Mali? like the flour, baking powder, etc. Thanks Victor 🙂 I’m actually in Tulsa, Oklahoma travelling via “Stove top” to each country in the world… it’s a fun journey for the imagination, although I wish I could visit these various countries, including Mali. My African name is Yatimme Dolo. 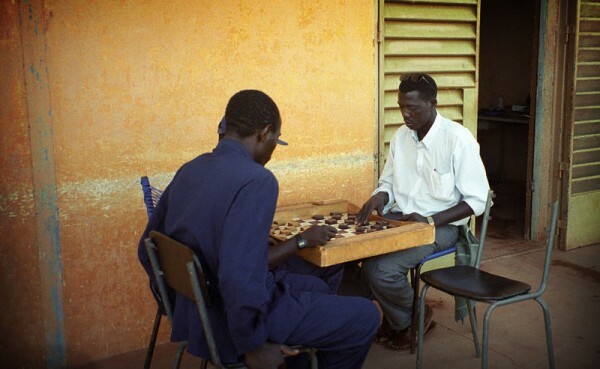 My parents were missionaries in Mali. I am making your recipe right now and am looking forward to it. looking forward to making this, i have 4 gluten free sisters! These look amazing. My Fiance loves Mali. He will be visiting on business soon too. He would def love this. I gotta make them for him. where is cardi b? ur name is irrelevant. that is veri veri nice. so bjutiful bjutiful. veri gluten free. 2018 is here. gluten free for life…..
u agree with me rajt? vaj ju no reply to me?